To the family of Tamara Shaikh, I wish to extend my most heart-felt sympathies for your great loss and tell you that my prayers are with you in this time of your great sorrow. I know how much you suffer, because I too have lost a nephew to murder. He was just 15 when he was shot by a jealous ex-boyfriend of the girl he was dating. This is an attempt to tell the other side of why your family member died the other people who did not wield the knife but are as guilty for her death as he is. They are the judges who give light sentences for abuse of women; they are the politicians who refuse to pass stronger abuse laws; they are the defense attorneys that encourage the abusers to lie instead of encouraging them to seek professional help; they are the crown prosecutors who seek to make deals instead of going to trial; they are the police who refuse to act until a woman is killed. They are the people who control the revolving door of Canadian justice, which is failing to keep its citizens safe. They are as guilty as he is, and they will never go to jail for their crime and will never have to pay one penny in restitution for wrongful death. I think this is wrong and so I speak out and hope that justice does not stop at Tommy Kane, but that people like you and I can use our loss and tragedy to see that this does not happen to anyone else. We can accomplish this by bringing who should have been his co-defendants out into the light of day and exposing them for the frauds and hypocrites that they are and maybe get them to do their jobs. Former NFL football and CFL football player Tommy Kane was headed for this fall for a long time and I believe all of the people suffering in this tragedy were let down by a system that could have stopped this tragedy from happening when his temper got him into trouble years before this senseless horrific murder of his then estranged wife and mother of his children, Tamara Shaikh. 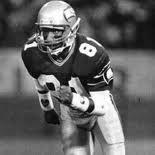 Tommy Kane played for the NFL’s Seattle Seahawks between 1988 and 1992. 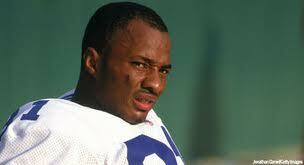 He finished his football career in the CFL, playing five games for the Toronto Argonauts in 1994. When their mother was brutally killed the four children — a girl and three boys — ranged in age from three to nine years old. The legal system in Canada that turns a blind eye to the abuse of women until they are either maimed or murdered should hold themselves to blame for the unfortunate death of Tamara Shaikh. They as well should have been sued for not doing their job and turning a deaf ear to women’s groups who have been pleading for action before the death and getting the run around. We all know that sending Tommy Kane to jail and awarding wrongful death damage does not give the children back a mother and does nothing to quell the sense of loss of the grieving family and does nothing to help the sister Ava Shaikh to cope with the brutal death of her sister as she stated after the verdict. It is time for judges and politicians to stop grandstanding after someone is killed and start making laws that will aid in the prevention of such senseless deaths. I know of another young man from my old neighborhood that murdered his wife after taking drugs and went to jail for it, but you will find nothing about it in the news because neither of them was famous, so who cares is the attitude of the media. Her family will not be getting any money for wrongful death. There are cases to countless to name that happen everyday. One was when my daughter was assaulted in public by her husband and he will not doing a day in jail in fact the case was dismissed. That’s correct; the judge dismissed the case even though several witnesses testified in court to seeing him assault her. The crown said they lost the security video proving that the assault took place and that they saw him as no further threat. My daughter was made to look like a fool and he was taught that he could hit her, or any other woman he chose to and probably get away with it. Bravo Canadian justice system on a job well done. Let me say that I do not think that there can be any excuse for the taking of an innocent life. Tommy was wrong and is now paying for it in jail. Tommy Kane will have to live with the memory of killing the mother of his children a woman he still loved. He will have to live with the hurt and pain that he caused the families on both sides, especially the horror his kids had to deal with growing up without their mother because she was murdered and without their father, because he was in jail for murdering her. I feel horrible for the family of the murdered woman and I am in no way trying to minimize the guilt of Tommy Kane for committing the murder, the hideousness and senselessness of the crime, or the loss of all parties affected by her murder, I just think that the failure of the politicians, the legal system and the police to do their jobs in this case should have earned them time in a cell next to his and paying damages to his children and the family of Tamara as well. Tommy and his family lived on my street for a short time and in my old neighborhood. Tommy’s mother and uncles were all close friends of my mother and my family. I have been friends with his sisters Karen and Brenda since childhood and we are still close. I can not imagine what it must have been like for his mother to be in the house during this, or his family to have gone through this with him. Tommy’s family are good people and I know that they felt terrible for his children and have expressed their deepest regrets and sympathies to the family of his then estranged wife Tamara Shaikh. This was not the little boy that I knew. This was a man who had let drugs and depression take over his life and for whom help from the system would come too late and too late meant a person would die. Having said this I must say that his family and friends must stand by him and try to look beyond this tragedy and give him something to live for and a safe harbor from the stormy times that are ahead for this young man; a man once considered a neighborhood hero, now considered just a hood. I do not know what is to become of him, or if some sort of normalcy will ever come back into his life, but he must try to find that place and everyone must try to let him. Tommy Kane was a victim too. Tommy Kane was a victim of a society that does little to protect women from abusive men and does nothing to ensure that they get the help they need. This was not the first time Tommy had hit a woman it was just the time that the police and the courts had no choice but to do something about it. Maybe if they had done their job the first time around this young lady would still be alive today and her children and family would not be suffering now with her loss of life. Football used Tommy and then spit him out when he got injured leaving him bitter, and depressed. Yes, he got a settlement, but not without fighting for it and fighting for your money costs and often the fights leaves the athlete feeling betrayed and wanting to strike out at something, or someone. If he cannot vent in the game the athlete vents elsewhere and without proper professional help ends up where Tommy Kane is for one crime or another. The money is nice for these athletes, but they are often mishandled, misrepresented and flat-out robbed. The human leaches cling to them sucking them dry and are a constant irritant like biting gnats, or mosquitoes. I say to all the afore-mentioned, that you are as guilty as he is for the death of this young lady. When they must leave the sport, they love they are often depressed and at a loss for what to do with their lives. They miss the attention, the adulation and the roar of the crowd. This often has them looking for what they need in the wrong places. Hookers, drugs, and the party life style often lead to the break up of their marriages resulting in a further drop into depression and paranoia. Tommy Kane was looking for love in all the wrong places and like all who do drugs he was headed for the big fall. You that used him and sold him drugs and did them with him know who you are and so do I. You all probably attended the funeral thinking yourself not guilty, but you are so wrong. When you look in Tamara’s children’s faces and her sister’s face think of your part in this tragedy and hang your heads low and know you are not without guilt. I weep inside for the loss of a life that could have been so much; the young woman who had so much to live for so much to give. I weep inside for the children who will no longer have the love or support of their mother as they grow up and go through life’s trials and tribulations. I also weep inside for Tommy Kane who will one day have to face his children, family and friends and those who wish him ill; the future for Tommy Kane will not be an easy one. I weep inside for all that could have been and will now never be because of alcohol and drugs and the violence that they cause; a government, a legal system and the police that are unable and unwilling to do their jobs. This entry was posted in abuse, abuse of women, Abusers and Getting Well, Beat Cops, Canada, Child Abuse, Crime On The Rise, divorce, domestic violence, drugs, drugs and children, Free Community Services, Government, In the name of sports, Marriage In Its Many Forms, Montreal Police, The Church and tagged abuse, Ava Shaikh, Canada, Canadian Football League, Canadian Press, CFL, community services, courts, Crime, Crime and Justice, divorce lawyers, domestic abuse, domestic violence, family, Family (biology), family support, free public facilities, Injustice, judges, justice, law suits, lawyers, marriage, murder, National Football League, politics, Prison, prodedure, Seattle Seahawks, stepping up to the plate, Tamara Shaikh, Tommy kane, Tommy Sheridan, Toronto Argonauts, United States. Bookmark the permalink. I am glad to be a visitant of this consummate web site! , thanks for this rare info ! . Wow. I am sick at the comments blaming drugs depression and the NFL. I too knew not only Tommy but Tammy and the children as well. We vacationed together I came to Montreal they came to the states. We were very close. I last spoke to Tammy about 10 days before her murder. Don’t blame the system or anyone in her family for not getting help. Tammy was a very private person none of us knew the severity of the problem. We did not know she was scared. We did not know his drug abuse or yes we would of done something. Tommy had opportunities after football but he did not like the grind of 9-5. He wanted to be special. Everyone in Montreal treated himlike a star. That’s why he stayed there. He had the hook up. The fact is because he didn’t want to lose her he ruined alot of peoples lives. Read the judges ruling. He got it right. I love d Tommy. He was like a brother but I don’t think I could ever forgive him for what he did to his children Tammy and her family and quite frankly the rest of us that not only lost one but two great friends. Don’t be fooled. There is only one person that can be blamed for this tragedy and that my friends is Tommy Kane himself. Be as sick as you like, but as you said you did not know the severity of the problem and maybe you did not know a whole lot more as well. Hind sight is always 20-20. No one excused Tommy for anything and you sure do not sound like much of a friend. There seems to be lot that you admit to not knowing and you have chosen a sports organiztion and a judicial system that could careless about Tommy, or you, or anything that happened, over your “brother”. My brother and I did a lot of horrible things and we did not like each other sometimes, but we never were able to stop loving each other. You could have said you wanted to help him, but you only offer what we already know. Tommy Cane killed his wife for which he is now doing time. He has lost the respect and love of his children and his freinds, that is clear just by listening to you. I said others were equally as guilty and I stand by it. The true test of a friend is who is still there when you hit the bottom, not who is there when you are on top. Have a good night and thank you for taking the time to share your opinion with me. I do not agree with some of it, but it is yours and I can respect that, so I will of course post it. Thank you for reflecting on this tragedy and reminding people that its victims continue to suffer, including Tommy himself. I agree that he is absolutely responsible for his choices, for his tragic act that tragic day, for the loss of his wife’s life and her loss to their children, friends, family and community. I would like to add with the disclaimer, as you did, that in so adding I in no way minimize Tommy’s culpability — that a very controversial, yet provocative editorial appeared in the Canadian press shortly after the murder that laid the blame at a few more feet than you do above. While there is never an excuse for such a crime, there are reasons. Reasons and excuses are two different things…and not stopping at condemning the perpetrator, but trying to understand those reasons is where preventing future victims begins. I too knew Tommy, not in Canada, but in college. I had the opportunity to write about him during his college career…and not just game stories, but features that provided some insight into who he was, the childhood that led him there and who he wanted to be. The one inextricable spine that runs through his story and escapes reference in your thoughtful post is racism. Tommy Kane not only rose above a station riddled with racism growing up, but came home to Montreal — when he easily could have remained in the States with new friends and communities who would forever elevate him and his family above their own racial issues. He came home and gave of his money and time to the children trying to rise up from those same streets on which he struggled. When he was in college and did not have the money yet, he did not remain on campus, relaxing and enjoying his new life, but spent summers at home, hosting camps and using the pride he inspired in his neighborhood to inspire pride in its children. You are correct that football took what it could take from Tommy and that an injury put an early end to his NFL career, but unfairly lay the blame for his depression and downfall to drugs so squarely at its feet. Again, Tommy could have remained in the American cities he had called home — Seattle and Syracuse — and many a company or media outlet would have gladly hired him, as former athletes bring in business. But he returned home and, as you accurately state, signed for one season with the Argonauts. It might be fair to note that he ordered that football club to pay his entire salary directly to the neighborhood youth organization that he credits with rescuing him from the streets of Little Burgandy, so that another child might – like him – have a fighting chance to transcend it. Again in the interest of continuing to tell what I found was a compelling story, I spoke with him once shortly after his return and he did not seem — to me or other close friends from his college years — depressed at all? He had started his own business in Montreal, was engaged to Tamara, who he described as his childhood sweetheart, was effusive with pride about the birth of their first child and seemed excited about all of these new beginnings…and to be home again. What that provocative editorial after Tamara’s murder explored was the systemic racism at work in his beloved home — the same racism that had robbed him of his dream of playing hockey in the early to mid 80s. Where most successful Canadian athletes, not unlike the unwritten protocol in the US, retire to enjoy lucrative, plum job offers from local corporations, endorsement and broadcast opportunities, Tommy found those doors closed to him…quietly and without ceremony. A local broadcaster remembers a brief stint he was afforded calling some local sports, found his skill at same to be promising and found him to reserved, affable and professional…and so always wondered how and why he disappeared so quietly and completely from that path. Tommy Kane was the most successful Canadian football player to every enjoy an NFL career. He devoted that success and its fruits to his beloved Montreal. Yet upon his retirement, he was not welcomed with a fraction of the gratitude or opportunity that lesser local heros who had cared less about their homes were afforded. The reason why is unavoidable. So when you speak of feelings of bitterness or betrayal with which he may have struggled, and his need to strike out, let the people of Canada for whom nothing he accomplished nor anything he gave back would ever be enough to compensate for the color of his skin join those who turn a blind eye to the mental health needs of male abusers and their female victims join them at the doorstep of Canadian justice when you speak of truly doing right by Tamara and her family, who will now live forever with her loss…and her children…who lost both their mother and their father that day…a father who will not know them again till their childhood is gone…who will bear that burden long after his legal debt is paid. I join you in hoping that, through the despair I can only imagine he battles on a moment by moment basis, that when he is returned to the world, he has the strength to once more transcend unimaginable circumstances, succeed again and spend the rest of his life making amends for the life he took and the others he forever changed by sharing his story and struggle and advocating for all the things you advocate above. But, like most of us could never do, he will have the unique power to counsel the men themselves, for whom Tommy’s story will resonate. What I knew of the man he was — before those forces converged to create that perfect storm of depression, drugs and rage — leads me to believe that this is precisely what Tommy Kane will do…for the rest of his life…the only thing he can possibly do to bring any peace to the rest of Tamara, and healing to both their families. May God bless Tommy with the grace to survive his deserved pergatory and do just that, may God bless both his and Tamara’s families as they struggle for the rest of their lives to reconcile this tragedy and – most of all – may God bless Tommy and Tamara’s children with the unimaginable grace to not only survive their tragic loss, but allow it to inform what we can only hope will be lives forged with happiness and purpose…and let us pray that, beyond the unconditional love of their extended families, the community of Montreal is — in ways big and small and on a daily basis — caring for and supporting them, Tommy Kane’s children — as generously as Tommy for so many years supported and guided other people’s children in need in his beloved Montreal. Thanks again for your post. I know from personal experience the many things that can make a person that angry. It is sad that things get to this point, but we must begin to understand that we can not hold some one in jail forever and so we must find away to help put out the fire of anger, treat the drug addict and get to the reason people are this angry in the first place. Thank you for taking the time to read and then comment. Good day to you and peace be with you! Thank you for the post, i liked studying it. I do not concur with it all however it was a good publish. Difference of opinion is okay. This was just my opinion and how I feel. Thanks for expressing and sharing yours. Thank you so much for the kind words and feel free to come as often as you would like. Have a great night and enjpoy the rest of your weekend. Hey everyone! I’m new here and wanted to say hello! Hello and welcome. Looking forward to reading some of your post. Have a great day! I have suggests appeared at it by means of that perspective and happen to be enlightened. I’ll have to obtain some extra information and report it back again. Thanks. I often wonder why no one hears these people screaming for help, or why it always comes to late.